1909 S VDB Penny - How Rare And How Valuable? 1909 S VDB Penny – How Rare And How Valuable? In coin collecting, there are certain rare coins that even the general public knows are expensive and elusive. The 1943 bronze cent is one of those coins. The 1804 silver dollar is another. But perhaps the one coin that really seems to keep getting attention (and deservedly so) is the 1909 S VDB penny. So, why is the 1909 S VDB penny so special? Perhaps the most important part of the story all comes down to the initials on the back of the coin. V.D.B. are the initials for Victor David Brenner, the renowned designer of the Lincoln cent. 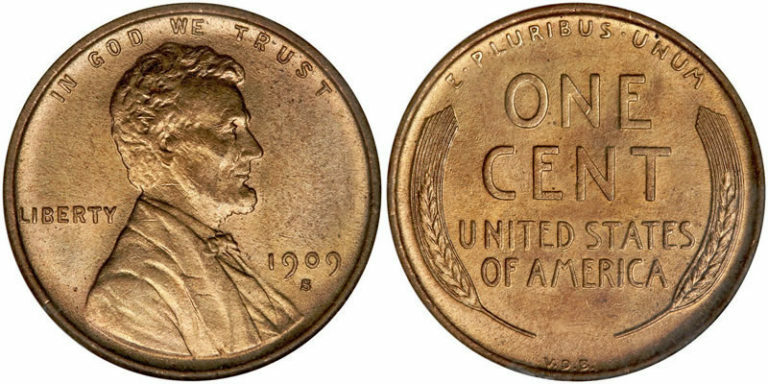 Brenner placed his initials on the reverse of the Lincoln cent, near the bottom rim on the reverse below the wheat stalks on the back of the coin. S, by the way, is the mint mark for the San Francisco mint. While the public generally loved the Lincoln cent when it was first released, one particular problem some had with the coin was the prominence of Brenner’s initials on the coin. People simply thought the initials were too obvious and large. The U.S. Mint responded to the outcry by removing Brenner’s initials altogether. But the situation was that the U.S. Mint had already produced millions of the pennies with the prominent VDB initials. While most of the 1909 VDB cents were produced in Philadelphia, only 484,000 of the VDB pennies rolled out of the San Francisco mint. 484,000 specimens of a coin may not sound like a number low enough to be considered rare, but think about the immense popularity of the Lincoln cent. Seemingly countless people collect Lincoln cents! Therefore, the demand for the key-date 1909 S VDB penny becomes all too obvious. In fact, of all the modern coins produced, the 1909 S VDB penny is certainly among the most popular and relatively scarce. The 1909 S VDB penny is indeed one of the most expensive regular-strike (non-error) rarities of modern U.S. coins. It is also one of those coins that has seen virtually nothing but upward trends in values for the last several decades. The value of a 1909 S VDB cent is around $700-800 in Good, and upwards of $1,800-2,000 in Uncirculated grades. There have been some badly worn, even damaged, 1909 S VDB pennies that can be occasionally found on eBay and in coin dealers’ catalogs. Yet, even these unsightly pieces often go for at least a few hundred dollars. These cull coins make great filler pieces, but stick to the problem-free coins for a better chance of reaping rewards on your investment when buying rare coins such as the 1909-S VDB cent. What Ever Happened To The 1909 S VDB Penny? The initials that caused so much controversy in 1909 were absent from the coin until 1918. In 1918, the initials were restored to the coin — this time, in much smaller characters under Lincoln’s bust on the obverse of the coin. The initials are still there to this day, but it may take some people a magnifying glass to see the tiny letters!